It was the most wonderful time of the year! 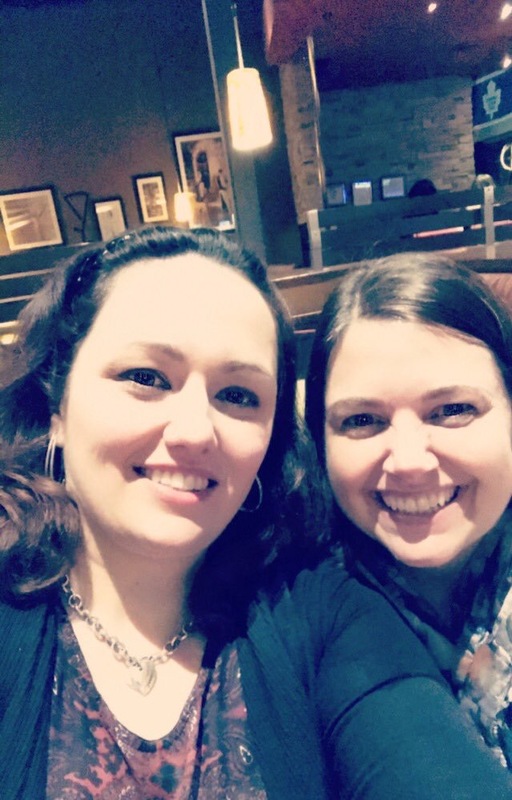 A time to learn, share, make connections and my favourite-- Meet-up/Tweet-ups! 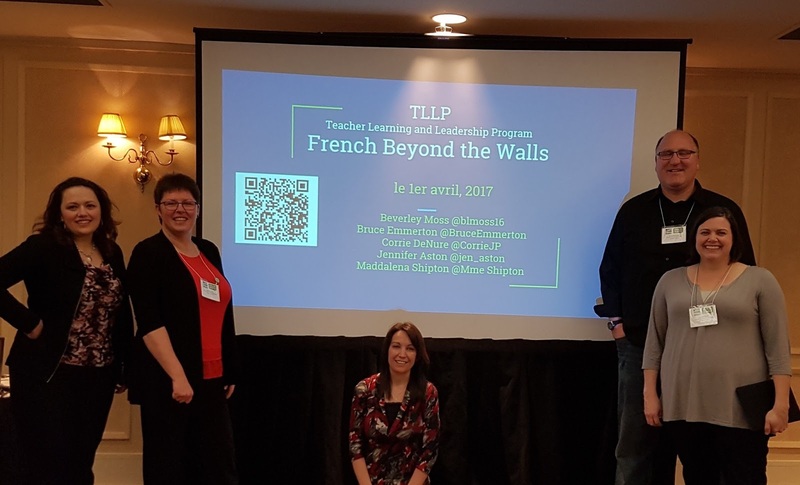 We were invited to share our TLLP project work as a double-session. 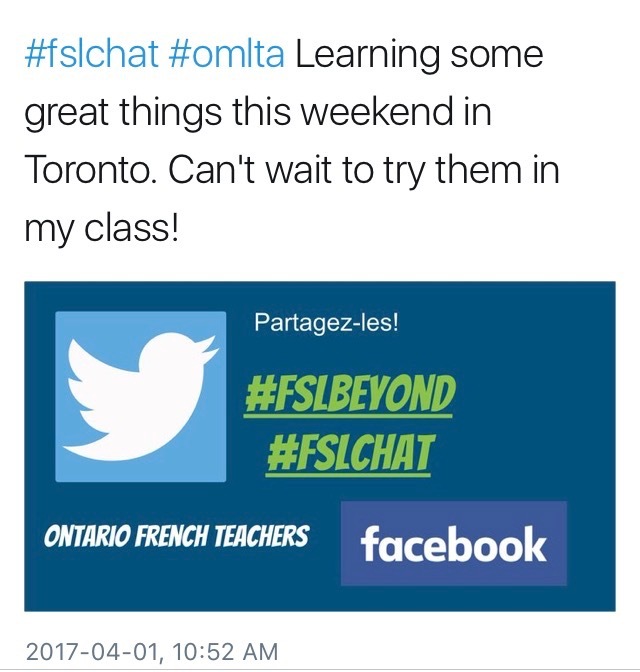 We felt very fortunate to be able to share and connect with so many dedicated and inspiring educators. We discussed taking FSL beyond the walls of the classroom by connecting with other classrooms and francophone friends in order to promote authentic, action-oriented communication. Transitioning from oral production to interaction experiences among students, and beyond, can seem daunting. 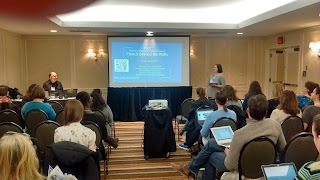 We shared tools and strategies that proved to work well with our students. As well as promoted different social media outlets as ways to connect beyond the walls of our schools, educator-to-educator, with the click of a button. Here's hoping to continue to connect and grow.